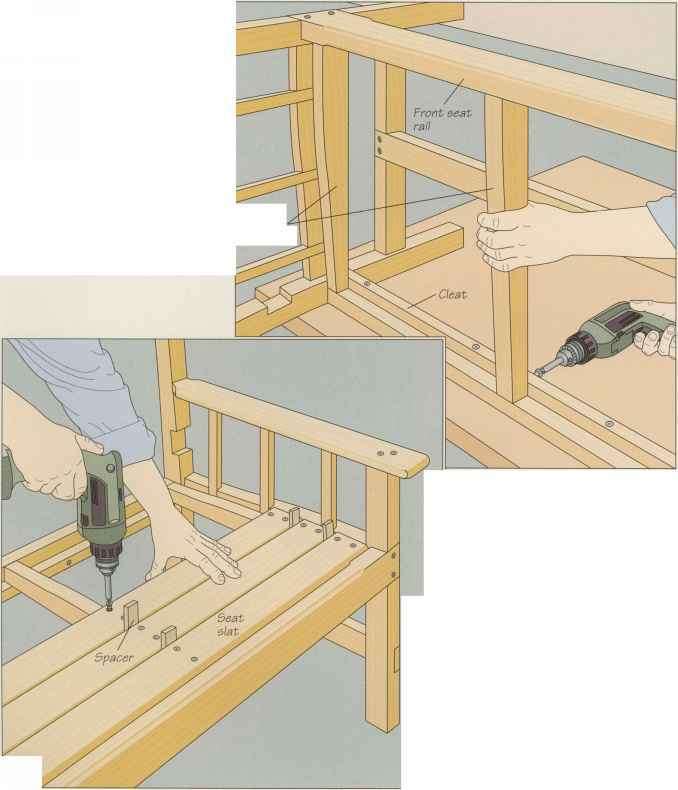 Secure the cleats to the seat rails with glue and screws spaced at 8-inch intervals; position the cleats so that the top edges of the seat supports and seat rails lie flush. 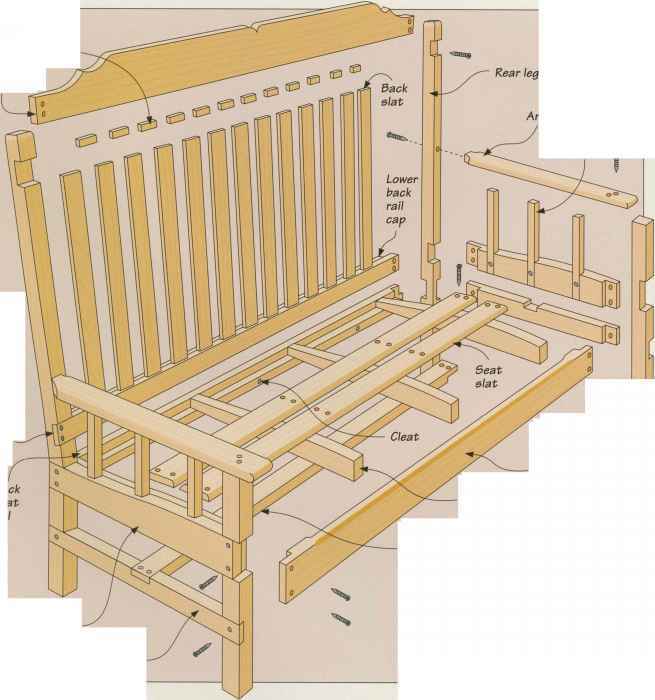 With the cleats in position, set the bench on its back and attach the end seat supports to the cleats, driving the screws from underneath; the supports should be flush against the legs and end rails. Next, fasten the middle seat supports to the cleats, spacing them evenly and holding each piece in position as you drive the screws (right). Round over the top edges of the seat slats and test-fit them in the bench so that there is 14-inch gap between them; trim the slats' edges, if necessary. Mark the locations of the seat supports on each slat and drill two clearance holes through the slats at each mark. Starting at the front seat rail, screw the slats to the supports, using lA-inch spacers to maintain the gap between the pieces (left).